An essential introduction to the North's most spectacular species. 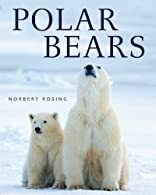 Polar Bears brings together acclaimed photographer Norbert Rosing's vibrant images and his firsthand knowledge of the Arctic to chronicle a year in the life of the polar bear, the Earth's largest land predator. The book is organized into four sections, spring, summer, fall and winter, each with an introductory essay. Young readers will learn about tiny newborn cubs, weighing barely 2 pounds, and see them follow their mother across the frozen tundra, playing and learning survival skills as they go. Informative captions describe a polar bear's physical characteristics and how it survives in the bitter Arctic. The book also shows the other animals that share the Far North's breathtaking scenery. Each year more than 10,000 people travel to remote Churchill, Manitoba, to watch and study polar bears, but the Earth's climate is changing, and the bear's future is in question. At this critical time comes Polar Bears, the perfect introduction to the mighty Nanook from one of its most impassioned advocates. 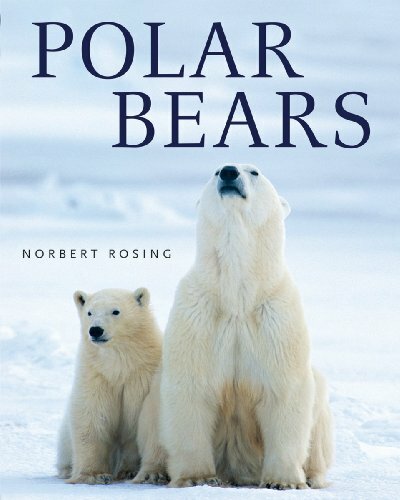 About Norbert Rosing (Author) : Norbert Rosing is a published author and a photographer of children's books. Published credits of Norbert Rosing include Face to Face with Polar Bears (Face to Face with Animals), Yellowstone.